In different food and drink environments it is vital that the correct flooring is chosen for maximum safety and efficiency around the workplace. 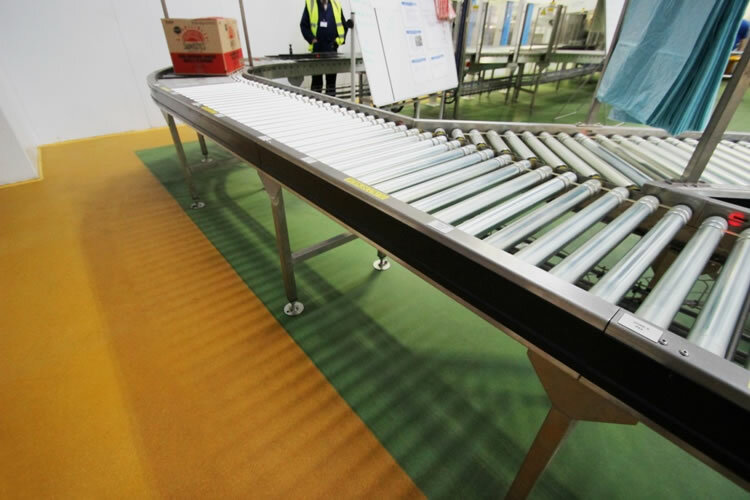 The main flooring requirements in the food and drink industry are a balance of durability, cleanability, chemical resistance and anti-slip profile, which all contribute to a safe and hygienic environment. Recently, John Lord was commissioned to manufacture and install suitable flooring throughout the Walkers snack food factory in Coventry. The factory environments differed from room to room where liquids were present and spillages occurred to the dry packaging areas. With this in mind, John Lord decided the best flooring to use was Uragard HT62W, which was backrolled providing a compromise between the anti-slip profile and the cleanability of the floor. Using a number of floor colours throughout the factory, John Lord installed the resin flooring creating colour coded walkways and operational areas for staff and visitors to navigate around the factory with safety under foot. John Lord has an extensive range of specialist flooring for many different industries. The Uragard polyurethane resin flooring range is ideal for the food and drink industry, each one with particular properties to provide the important solution. In environments where meats, fats and grease is present, the logical choice from the Uragard range is our most aggressive grade of flooring; Uragard HTAS. Providing a high anti-slip profile with chemical and abrasion resistance properties the Uragard HTAS is ideal for slippery and high trafficked areas. In other environments where daily operations are mostly dry with occasional wet areas, the logical choices from the Uragard range are Uragard HT62W and HT120W; providing excellent cleanability and an anti-slip profile. British manufactured and installed throughout the UK and abroad by their installation teams, John Lord provide the ‘Total Responsibility Package’ being the only company you need to turn to.